SRMJEEE Online Application Form 2019 : SRMJEEE 2019 is an entrance conducted for giving the admission in courses of B. Tech Degree in the SRM University campuses of Kattankulathur, Ramapuram, Vadapalani and Ghaziabad along with SRM Institute of Science and Technology – Chennai, Amaravati campus of SRM University– AP and Sonepat; Campus of SRM Univeristy– in the state of Haryana. It is compulsory for all the candidates to appear in the entrance exam in order to get the admission in B. Tech. Generally, in the month of October SRM university releases the notice for admission in the courses of B. Tech. 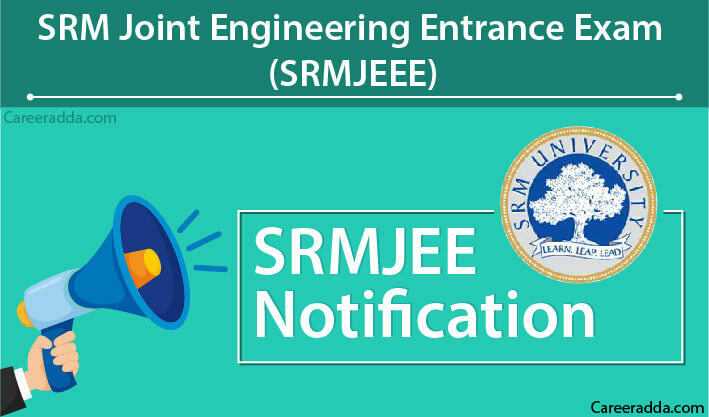 SRMJEEE notification has been released and online applications are invited from eligible candidates from 27th October 2018 to 31st March 2019.The interested candidates can fill the application form till the last date of submission. 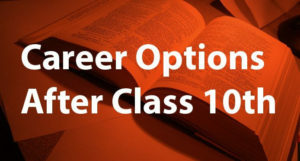 Aspirants who wish to take admission in the desired course of B. Tech for the academic session 2019-20 have to fulfil the eligibility criteria. The candidates who will fulfil the eligibility criteria will be allowed to participate in the admission process. Indian Nationals along with the Non-Resident Indian (NRI), holder of PIO or OCI card which is issued by Government of India can appear for SRMJEEE 2019 entrance exam. The minimum age of the applicant must be 16+ years as on 31st July 2019. The candidates whose age is below 17 years need not to apply as their application will not be accepted. The candidates of the reserved category may have the provision of relaxation in the terms of minimum marks and age. The candidates must have passed class 12th examination from the recognized Board of the country along with the subjects of Chemistry, Physics and Mathematics/ Biotechnology. SRM University will issue the SRMJEE 2019 application form via online mode. The application form is available for those who have keen interest in taking admission in the B. Tech Course. The candidates will not get any printed form of application form as they have to fill application form via online mode. Before you fill the application form online, one must ensure that the candidate is eligible for appearing in the exam. For appearing in the exam, the aspirants must register themselves on the official website at www.srmuniv.ac.in. During the registration, they need to fill Personal specification along with the Educational Qualification and Communication details. It will be followed by paying the application fees. Further, the candidates will proceed with uploading the images. Before finally submitting the SRM University Application Form 2019, one must again recheck all the entries whether they are correct or not. There is possibility that the authorities may not provide you the chance of correcting the details. You can check the further details to minimise the errors in filling the online application form. The applicants will be able to apply for the entrance exam of SRMJEE 2019 at www.srmuniv.ac.in. Enter the details like name of the candidate, Email address, mobile number, state, city and so on. After that, the candidate will receive the verification link on their registered mail ID. Therefore, candidates must take care that he is submitting the valid Email ID along with valid mobile number. 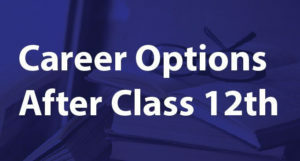 It will be followed by entering the educational qualification details like name of board in class 10th and 12th, marks obtained in class 10th and 12th and so on. The application fees will be paid by either Demand Draft or online mode. The candidates who have successfully completed all the entries of application form will be able to pay the application fees. Candidates are required to upload the necessary documents. Exam will be in English Language. The time duration for exam is 150 minutes. There is a no provision of negative marking. Chemistry States of matter, Organic Compounds Containing Nitrogen,Chemical Families: Periodic Properties, Chemical Bonding, Molecular Structure and s & p- block elements, Solutions, Chemical Kinetics, Chemical Thermodynamics & Energetic, Chemical Equilibrium, Electrochemistry, Atomic Structure, Purification and Characterization of Organic Surface Chemistry, Polymers, Catalysis and Nuclear Chemistry, Compounds, Hydrocarbons, Some Basic Principles of Organic Chemistry, Organic Compounds Containing Oxygen, Bio Molecules. The candidates who have successfully submitted the application form will be able to download SRMJEEE 2019 admit card. No candidates will receive the admit card through post. However, the admit card can be obtained only after the completion of the process of slot booking. During the SRMJEEE 2019, it is mandatory to carry the admit card otherwise, the candidates will not be allowed to give the exam. The authorities will release the result online on the official website. The candidates who appear for the exam will check the result by entering the registration ID and password. On the basis of the marks, merit list will be prepared. On the basis of merit list and rank list, candidates will be called for the counselling session. For the admission in each campus, there will be separate cut off marks for the different branches of B. Tech. The candidates who will achieve the cut off marks will go to the further process of counselling and seat allotment.